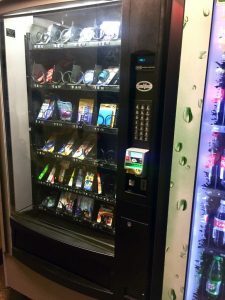 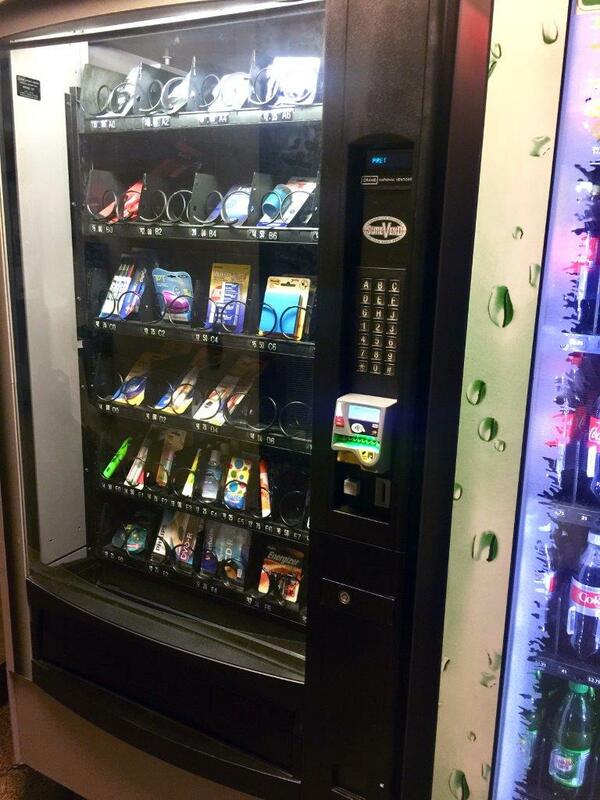 The Humanities and Social Sciences Library is proud to present their new School Supplies vending machine in the Première Moisson Redpath Cyberthèque. 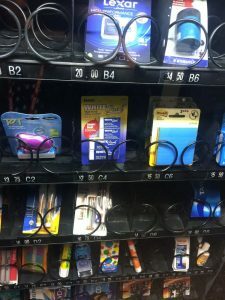 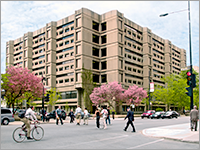 Thanks to an initiative by the SSMU’s Library Improvement Fund Committee, students and staff now have a convenient location to grab all of those last-minute essentials, like the much-needed USB charge & sync cable, a set of Post-It Notes, and even a tooth brush & paste kit. Reasonably priced, and located near the RBC bank machine, never let a missing White Out emergency get the best of you again.